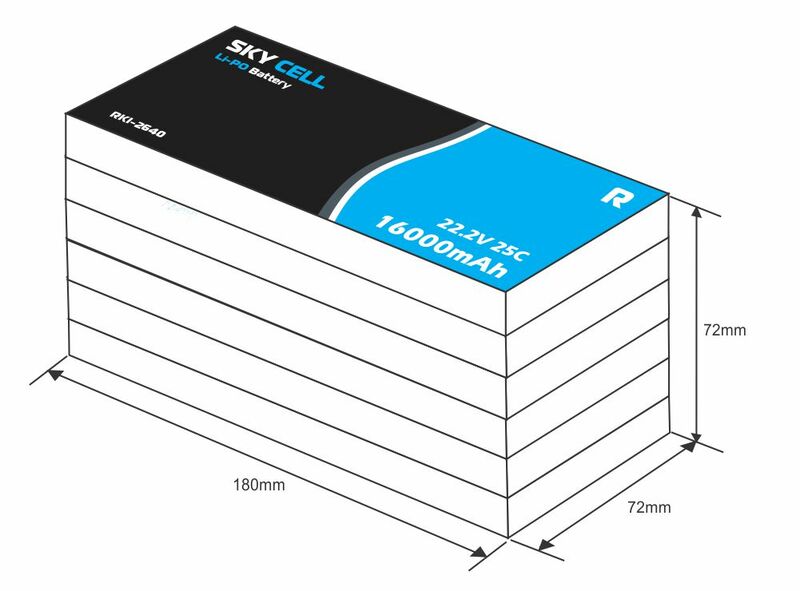 The SkyCell Lithium-Polymer (Li-Po) Battery for robotic and drone applications. It can give great instantaneous discharge current upto 400A. Very light weight and small size compared to Ni-Cd, Ni-MH and Lead acid batteries. Very long life without loosing charging capacity. Weights just 2120 gm. The SkyCell Li-Po batteries are very sensitive and can get damaged easily and permanently if not used properly. Charging batteries with non standard chargers will ensure reduction in battery life and efficiency. We strongly recommend to charge battery with our chargers or only standard chargers designed to charge Li-Ion batteries. If the batteries are drained beyond their discharge capacity they will get heated and will get damaged permanently. Ecah battery is rated for discharge current. If the battery is rated at 2000mAH, 2C it means that it can discharge 4 Ampere (2000ma x 2) current at max. If the load is above 4A the battery will heat up and loose its efficiency to store charge over a period. Over discharging of battery may also create problem. If the voltage of battery reduces to 3.5V per cell (i.e. 10.5V or below for 12.4V battery) the battery is considered discharged. If still battery is connected the battery may get damaged. In all above problems warranty is not valid. Still if the battery is having some genuine problem like it doesn't get charged we may consider to replace it.